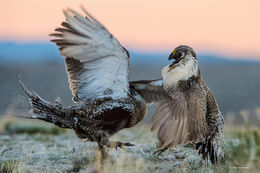 This article was published by The Wilderness Society last month in the wake of our Department of Interior abandoning the landscape scale collaborative agreement, a decade in the making, to bring stakeholders together for recovery of Greater Sage-grouse. Secretary Zinke's decision is void of science and widely rebuked - Western governors, including Matt Mead of Wyoming and John Hickenlooper of Colorado have stated their strong preference for the collaborative conservation agreement. Give the plan a chance to work.